Recently, we have seen a lot of leaked information about Motorola One Vision smartphones. This phone had previously appeared on the Geekbench test and its specifications were leaked online. Today, Motorola One Vision’s official press image has appeared and so we have a pretty detailed look at the design of the machine. Specifically, according to the image shared from 91mobile website, Motorola One Vision will be equipped with a perforated screen to contain the selfie camera located in the top left corner. This screen has a fairly thin bezel on both sides and top, while the lower chin is slightly thicker. On the back, the integrated Motorola One Vision dual camera is placed vertically on the left side with dual LED flash below. The text next to this camera system says it will have a 48MP main sensor. 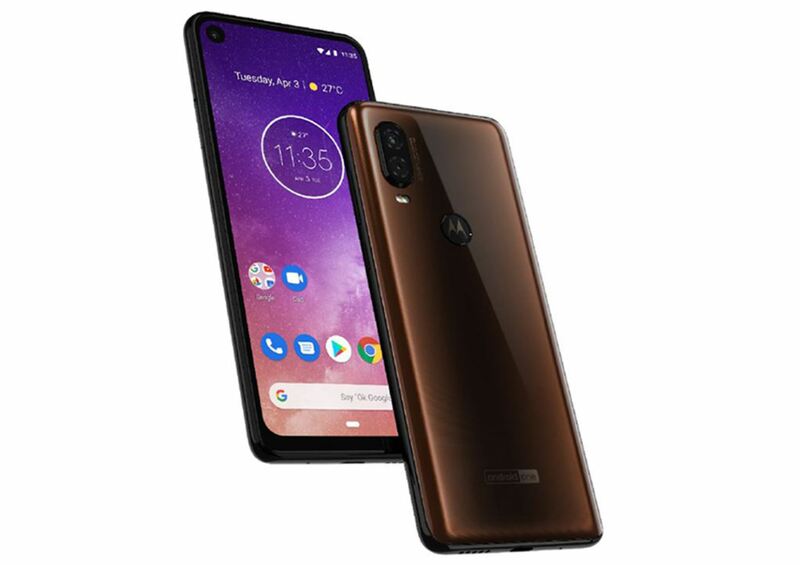 Besides, the back of the phone seems to have a shiny shell, which also houses a fingerprint scanner with Motorola’s distinctive batwing-shaped logo, combining the Android One brand. In terms of configuration, Motorola One Vision is expected to have a 6.2-inch screen, a unique 21: 9 aspect ratio similar to Sony’s Xperia 1 and comes with a resolution of 2,520 x 1,080 pixels. Inside, the device uses Exynos 9610 chipset manufactured by Samsung and comes with 3GB / 4GB RAM capacity, 32GB / 64GB / 128GB internal memory and works on Android 9 Pie platform when shipped. Finally, the battery of the device will have a capacity of about 3,500mAh supporting 18W fast charging technology. Motorola: will the next smartphone have four cameras?